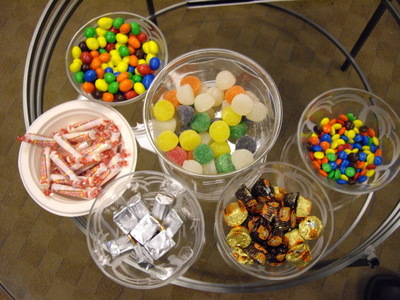 So to answer one of Jeanne’s questions…What candy is on the table? Well, note the NEW additions…Smarties on the left…the mouthwatering mix of regular and dark chocolate peanut butter cups on the right…and, well hey there?! What are those delicious delights in the silver wrappers? 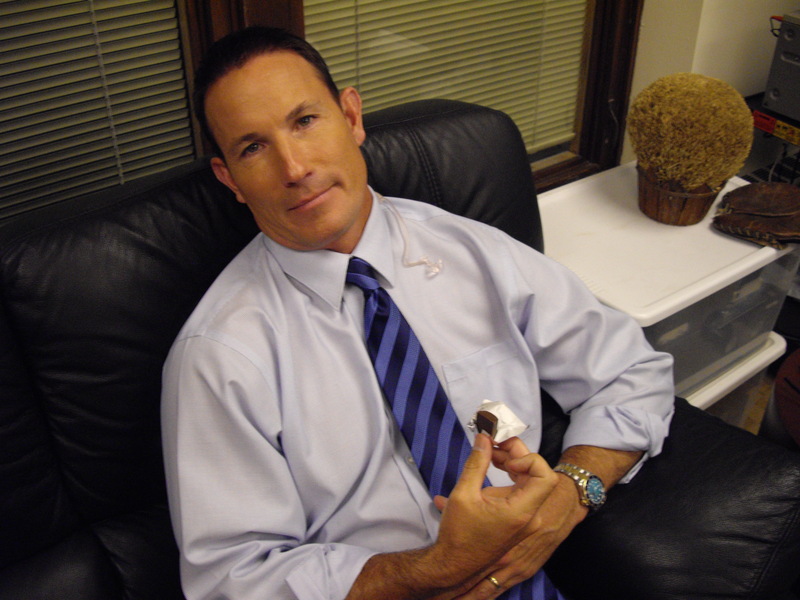 Yep…that’s right…Flash continues to kill the chocolate! And the look of disgust on his face says it all, doesn’t it? That is the look of a good man fighting a losing battle…but let’s be honest…if people walked into my office and saw bowlfuls of trail mix and zucchini slices, they’d jump out the window! What was for dinner? PF Changs…Flash went with the Lettuce Wraps to start followed by Beef with Broccoli…I went the Steamed Veggie Dumplings route for the app, and chased it with Beef a la Sichuan…I’d show you the empty bag of containers, etc. 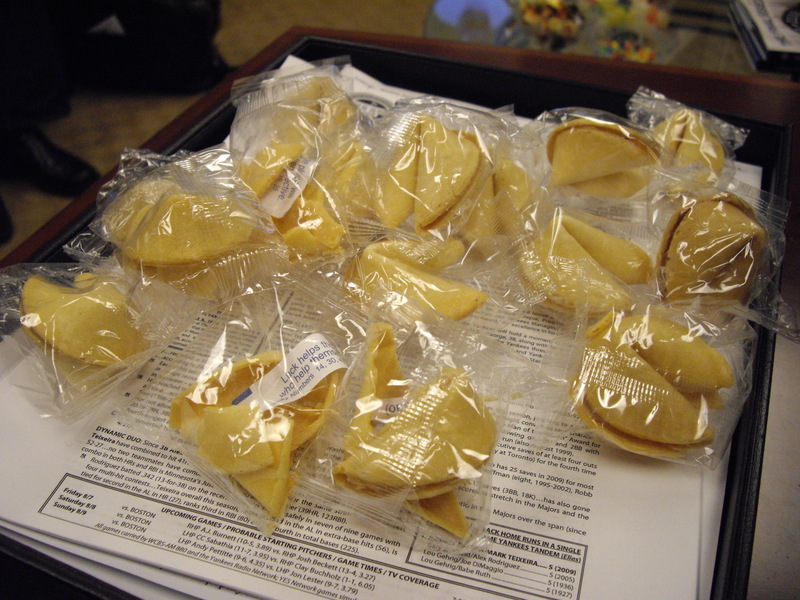 but it looks like a pack of hungry raccoons went through it…so, just enjoy the shot of the gordoonimus amount of fortune cookies the restaurant was kind enough to provide…I guess they thought 30 people were sharing our food tonight!